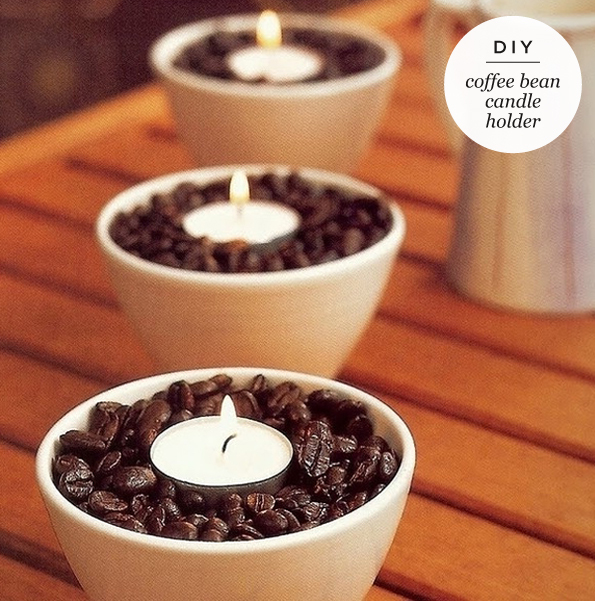 An ultra yummy DIY coffee scented candle for your home by Home & Garden Blog. All you need is a bag of coffee beans, some bowls and tea light candles. The candle heats up the coffee beans and releases an amazing aroma that fills your entire home...♥ Warning though: you will want to drink coffee all the time!! **Note: Change the beans once a month to preserve the amazing java smell!